Awarded to the VFA-VFL's best player under 23 years of age and named in honour of the three players to win the Liston Trophy (or one of its predecessors) and the Brownlow Medal. *Mitchell originally finished tied with Trent Cotchin (Richmond) for second place in the 2012 Brownlow Medal count, four votes behind Essendon's Jobe Watson. However, Watson was later found guilty of breaching WADA's anti-doping code (along with 33 of his teammates from that season), and in November 2016 was retrospectively ruled ineligible by the AFL Commission. Mitchell and Cotchin were subsequently announced as joint winners of the 2012 Brownlow Medal. In July 2018 the VFL announced the Fothergill-Round Medal would be officially renamed the Fothergill-Round-Mitchell Medal. The criteria for the award has changed over the years: originally it was presented to the best young talent in the VFA, then during the early-2000s it was presented to the young player most likely to be drafted to the AFL. 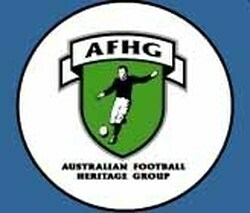 It is currently awarded to the best VFA-VFL player under 23 years of age.